Day by day, it seems as if our social feeds are being flooded with new and improved hair color concoctions. From vibrant reds to playful purples, the hair-coloring spectrum has become larger by the day (if not by the minute). With every season, there comes an accompanying hair trend. For spring there was the beloved pastel hair trend, and rose gold hair tints reigned supreme for the summer. But, there’s one true color that triumphs all for the fall season, and that’s undeniably the navy blue hue. What Is Navy Blue Hair? This trending hair color comes out exactly as it sounds: with a dark blue, almost black or purple in tint, this color is a great cool toned shade to help you embrace the chilly weather. The trend caught flame almost instantly back in 2016 when none other than social media star Kylie Jenner brought it to everyone’s attention. The dark blue hue, also known as “midnight blue,” cause everyone’s eye, and immediately became one of the biggest hair trends of the year. It’s important to note that while Jenner popularized the hair color, she was inspired by another fierce female celeb: Lil’ Kim. According to Tokyo Stylez, a.k.a. the creator of Jenner’s iconic wig (among other legendary celebrity hairstyles), the young reality starlette was inspired by a previous look he made for the rap goddess back in 2014. While Lil’ Kim’s wig had more of a muted blue and voluminous finish to it in comparison to Jenner’s sleek vibrancy, we’re officially crowning the rap kween as the original navy blue hair trendsetter. There’s a reason why so many people embraced this hue with open arms: because it’s wearable. Unlike the mint greens and neon pinks Jenner is known for wearing, this dark blue shade disguises itself as a cool-toned black or very dark brown in various angles. The original format of this color is to act like a tint, but in all honesty, you can rock this color as bold as you’d like. Create just a subtle hint, or go for an all-out navy blue head of hair for an enchanting look. Either way, this dark-toned blue hue is perfect for all of your fall (and winter!) endeavors. Now that you have your hair color sorted out, it’s time to pick a style that’s just as bold and cosmic. But, we get it if you’re stuck on styling. If you don’t want to fall down the dangerous rabbit hole of telling your hairstylist to “do whatever you want,” then take a peek at some of our favorite styles on Instagram. These fresh takes on the navy blue hair trend are just too good to pass up, which is why you need to hop on these styles ASAP. While we’re usually not the ones to follow the masses, these cool toned hair styles have us shamelessly following along. Try out one of these chill styles to create trendy tresses for the new season. Is your hair color falling flat? Then try out some of these navy blue hair ideas. While we love navy blue hair, one of the first problems that come to mind is how to take this contemporary style and make it ready for any formal event (like a wedding, for example). Well, it’s actually pretty simple: just create some quick and easy curled ends like the ones above to achieve a sophisticated, elegant play on your casual blue hue. One of the annoying things about curled hair is the constant upkeep. Having your hair off-guard even just for a few seconds can lead to fallen, flat curls. 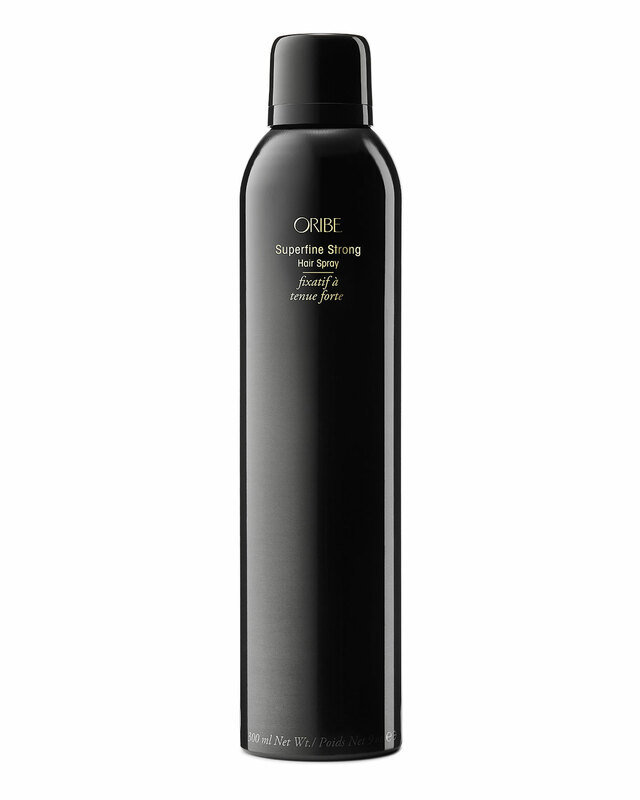 Well, that is until this ultra-strong hold hair spray from Oribe came into our lives. Just a few spritzes will have your curls lifted and gorgeous all day long, without any flakiness or crunch! Why limit yourself to just one color when you can create a whole cosmic fusion on your head? Toss away the overplayed “rainbow” effect by creating this extraterrestrial concoction of muted navy blues and matte violet tones. It’s a great choice for any girl who wants to take a grungier approach with their hairstyle, which is why we suggest pairing this ombre-like effect with shorter styles (think lob, bob, or even overgrown pixies). For this multi-toned look, we suggest going the textured route with your hairstyle. To create a textured look, reach for a volumizing or texturizing spray to quickly get the job done. 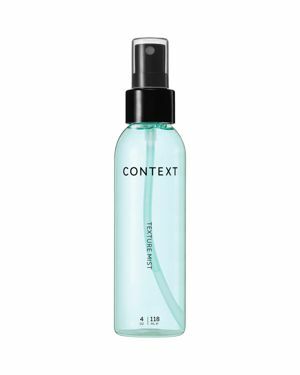 Our favorite pick: the Context Texture Mist. We know this hair color is reserved for the most adventurous of fashionistas, which is why we suggest pairing it with one of the trickiest hairstyles in the book: bangs. And not just any bangs, but wispy, overgrown bangs. We know what you’re thinking: this look can go south really quickly when not executed properly. So, instead of doing a DIY job, opt for sitting in the salon chair to get this look. It may be the pricier option, but you’ll definitely be happier with the results. Trips to the salon can get pretty expensive, especial with a color like navy blue, which is extremely prone to dreaded wash-out and fading. So, revitalize the color of your locks by using a color-friendly shampoo, like this one from Kiehl’s. Balayage is definitely the cooler, more laid-back cousin of the classic ombre, so why not pair your paint-like technique with a captivating hue like navy blue? While most people usually reserve such a coloring technique for “natural” colors like blonde and light honey browns, we’re tossing in some fun colors to create a unique look for the fall season. Due to the longer color gradient, we suggest pairing this coloring technique with longer locks that reach to at least your shoulders. To create the classic “balayage with curls” style that you’ve probably seen plastered all over your Instagram feed, grab your handy curling iron to create the look. For a healthier-looking sheen on your curls, always finish off with a hair gloss. 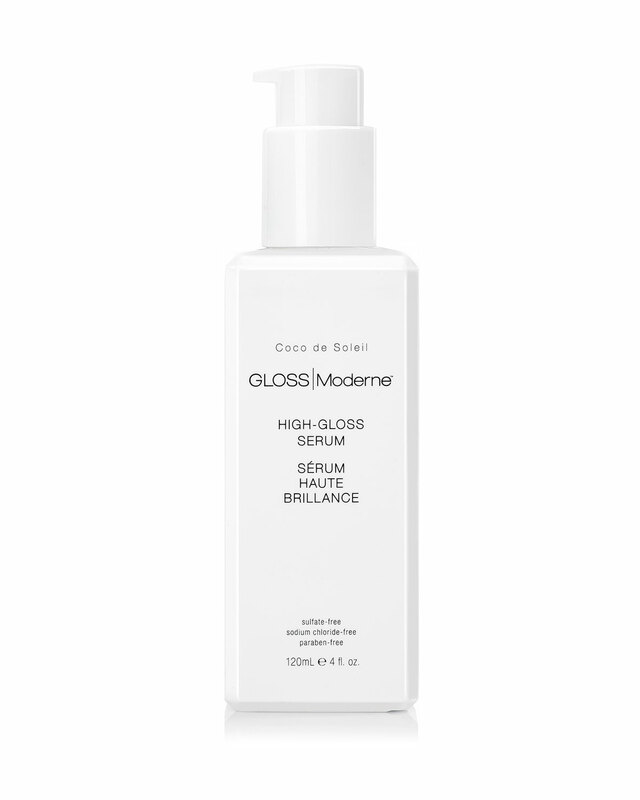 Our top hair gloss pick: the Gloss Moderne High Gloss Serum. Navy blue hair with pin-straight locks is a match made in hair heaven. Straight, glossy locks tied together with this dark hue creates a look that would spark a hint of jealousy in anyone’s eye for its high-shine look and tint-like effect. You can create an ombre effect for a subtle nod to the fan-favorite trend, or go all-out with a head filled with this royal blue hue. Unless you’ve had your hair chemically straightened (which is definitely not ideal for the health of your hair, especially after dying your locks! ), you’re going to have to use a straightener or blow dryer to style your locks. 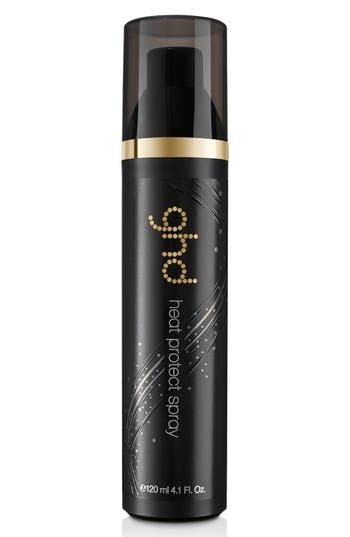 Don’t let your strands succumb to heat-related damage: use this heat protectant spray to keep your tresses healthy even under intense heat conditions. The side shave had a major moment back in the early 2010’s, and I think it’s time to bring it back. This ultra edgy look is dramatic, but still has a feminine delicateness to it, give you a “best of both worlds” style. One constant issue people with shaved parts of their scalp is dandruff. While it’s easier to cover this flaky situation up when you have longer locks, there’s not much coverage that can be done with shaved areas. So, if you notice little white flakes arising, then try treating the area with a scalp-exfoliating shampooor treatment, like this fan-favorite from Briogeo. Tussled, textured waves are one of the most popular styles for their laid-back attitude. It’s a simplistic look that can be executed in mere minutes, and no washing or heated tools are required to create it. For some added texture and volume, use a texturizing spray to create a full-bodied “I woke up like this” style. This best-selling texturizing spray from Ouai is super lightweight, so it will lift and texturize your locks without leaving a gross residue or feel behind. Plus, it adds a healthy-looking sheen, giving off a finish that looks fresh out of the salon chair. Not ready to full navy blue? Then try an intense ombré style. These blonde locks create a perfect contrast to the saturated navy blue ends, creating a vibrant waterfall of intoxicating colors. To keep your color looking fresh and vibrant, always use an enhancing color treatment to liven your faux-natural tones. This color booster from Oribe is perfect for retaining your hair dye while nourishing your locks with some much-needed antioxidants and amino acids.